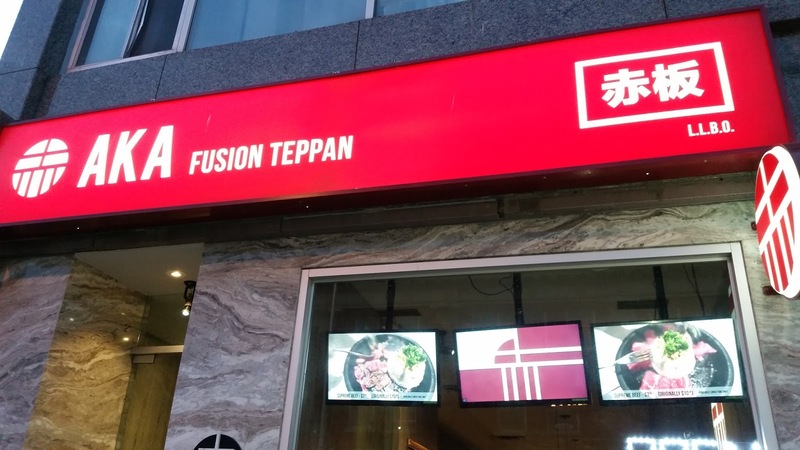 Aka Fusion Teppan was a suggestion given by my brother, who must have ate here with friends one time, but only got to introduce it to me recently. Since my mom was downtown for the evening, we made a walk from Yorkville onto Bloor Street West, where Aka is located. Aka specializes in Japanese Teppan Rice Dishes and combines flavorful combinations of meats and vegetables on a hot plate to ensure satisfying tastes. Along with this, a side of steamed rice is also served. The atmosphere when I first entered the restaurant was truly splendid, and catered to the eye very nicely. It had a great modern feel and urban designs. Moreover, the ambiance catered to those that enjoy clean, simple atmosphere. To start off, we had side orders of Chicken Cartilage, which was deep fried, crispy, and cooked to perfection. This was a really great order, as the cartilage was really crispy, and the taste had a blend of salty and a dash of curry taste, which somehow enhanced the flavor of the dish. All three of us shared these chicken pieces, and all were gone in no time. On the top, my brother’s order was the Beef Udon Hot Plate (unfortunately the exact name wasn’t apprehended). 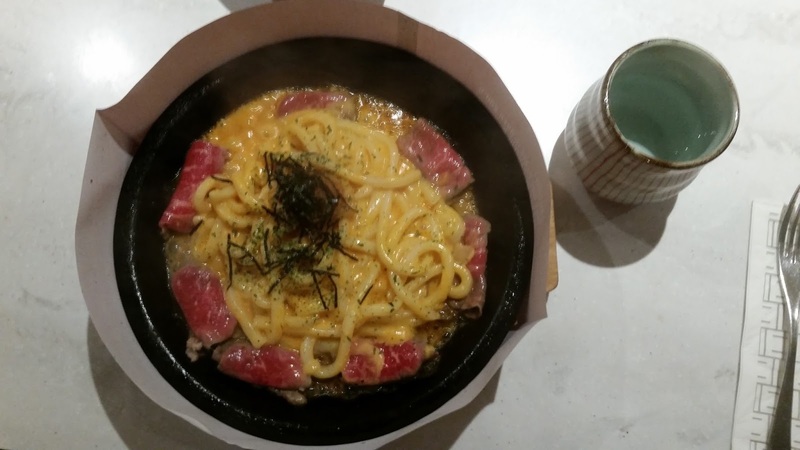 It looked like the beef was being cooked right on the hot plate, and there was cheese infused in the udon noodles. This was a really tasting looking dish, and judging by what was left on the dish at the end of the sitting, it seems that my brother really enjoyed his meal! 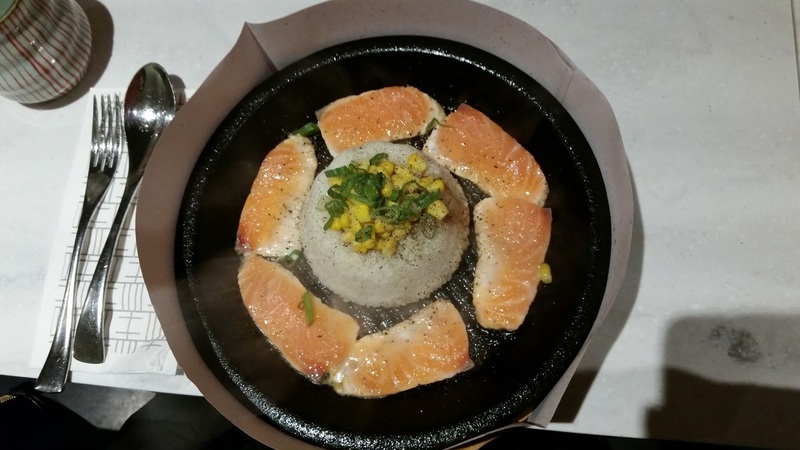 My mom’s selection was the Teppanyaki Rice with Atlantic Salmon, again it was being cooked when it was served to the table. On my mom’s account the dish seemed to fill her stomach, as well as her satisfaction. 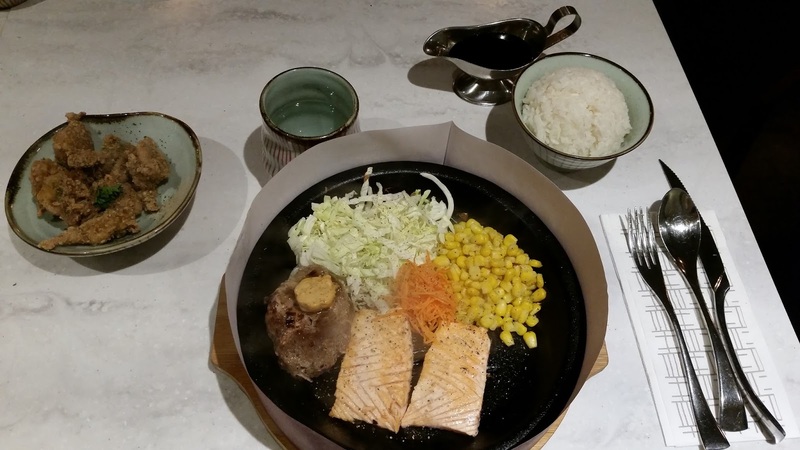 Lastly, my selection was the Mix and Match which consisted of Handmade Hamburg Steak and Atlantic Salmon Filet. This dish came out with some fancy plating – the sauce was in a unique container and the china was all glass or on the hot plate. In addition to its fancy display, the food itself was also extremely tasty. 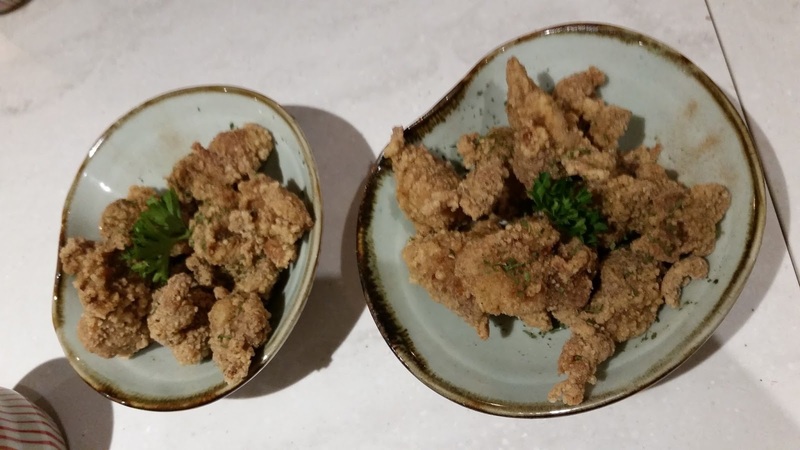 Overall, Aka was a great experience and also something new – a new type of Japanese cuisine that I did not explore before. The food, atmosphere and service left me with a great impression, and I will surely be making my second visit sometime in the near future.